Busy times in the Food on the Dole world! I’ve jumped out of the wood-fired oven under the big skies of Montana and into the wood-fired grill on the mean streets of Chicago as I help Old Crazy Hair and the Xmarx crew open their first brick and mortar joint, Fat Rice in Logan Square. 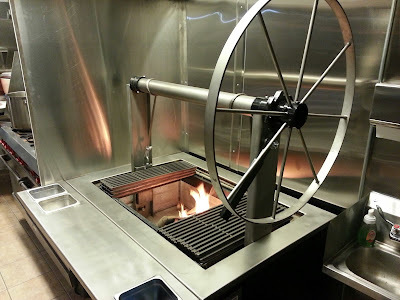 Yes, that’s me on the gorgeous wood burning wagon wheel grill, and I’ll be planted there as I consult with these guys and serve as sous chef throughout opening and the remainder of 2012. Tough, long hours as can be expected when opening a restaurant, but rest assured they are worth it as we work to bring Chicago some excellent and tasty food which, simply put, is Asian-inspired with a healthy dose of Portuguese influence. I’ll write in more detail about all this when my term is up in January and I’ve had a chance to: a) learn more about this vast and fascinating cuisine, and b) sleep/think. For now, read about Macau and the Portuguese role in the Age of Discovery 500 years ago, and you’ll be on the right track, historically speaking at least. As for the food, the ship is helmed by the always intriguing Old Crazy Hair himself, Abe Conlon of Xmarx fame, and few are the times I have met a chef as passionate and intellectual about his craft. We officially open tonight, so come on by for some hearty, spicy, new food! 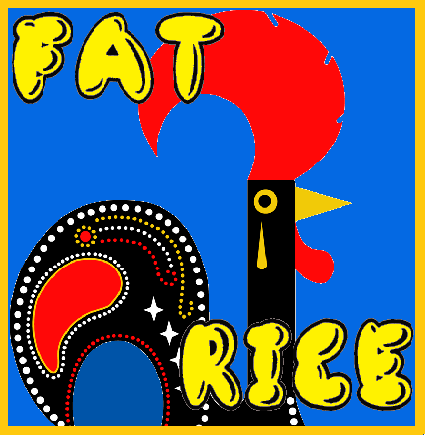 Fat Rice, 2957 W Diversey in Chicago!